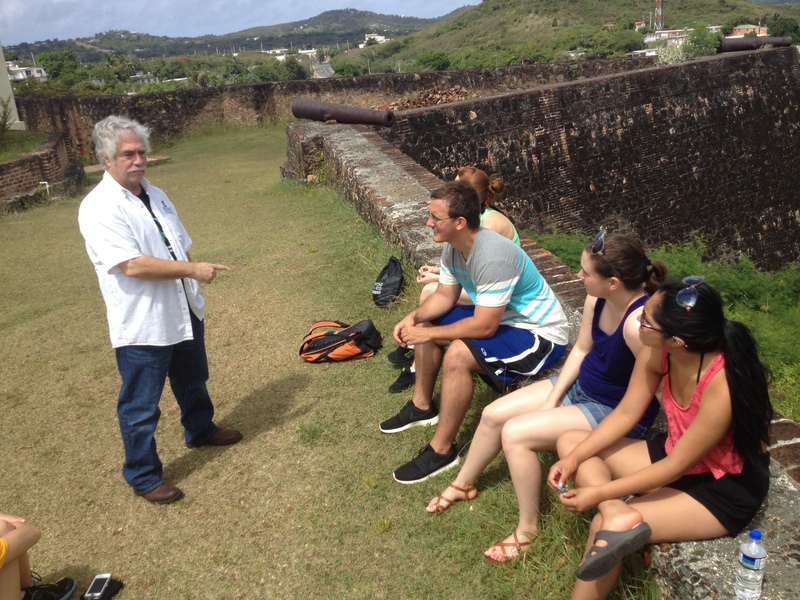 The Puerto Rico and Cuba SPAN study abroad course was designed around the theme of U.S.-Caribbean relations and was open to students from statewide universities and colleges. Eight students enrolled, seven were from the University of Minnesota and one from Macalester College. Students received eight upper division credits, four of which were writing intensive. 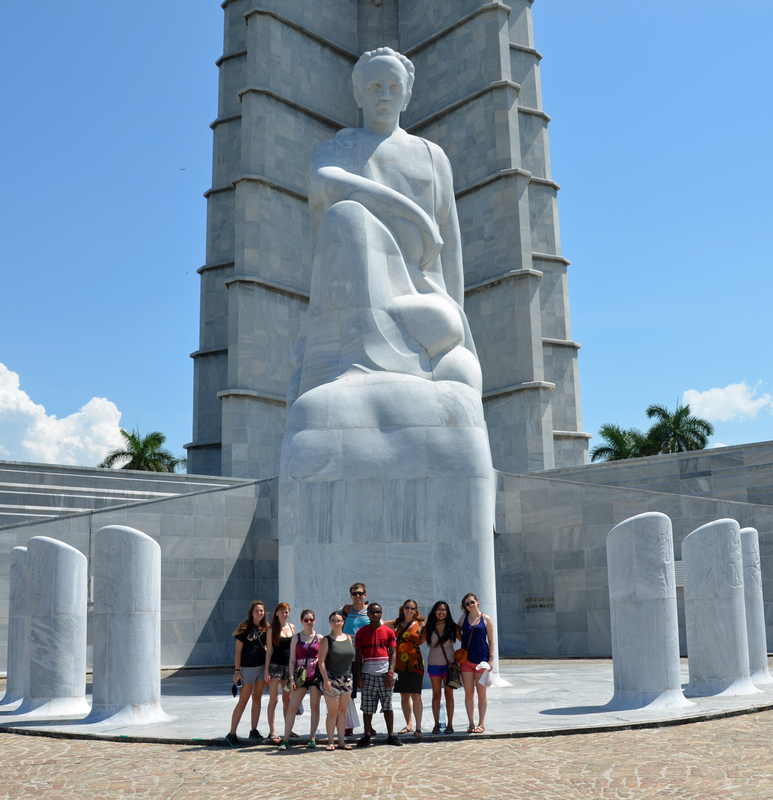 Students took an introductory semester course in the spring with Dr. August Nimtz and Dr. Melisa Rivière in which they learned about Cuba’s and Puerto Rico’s history and culture. 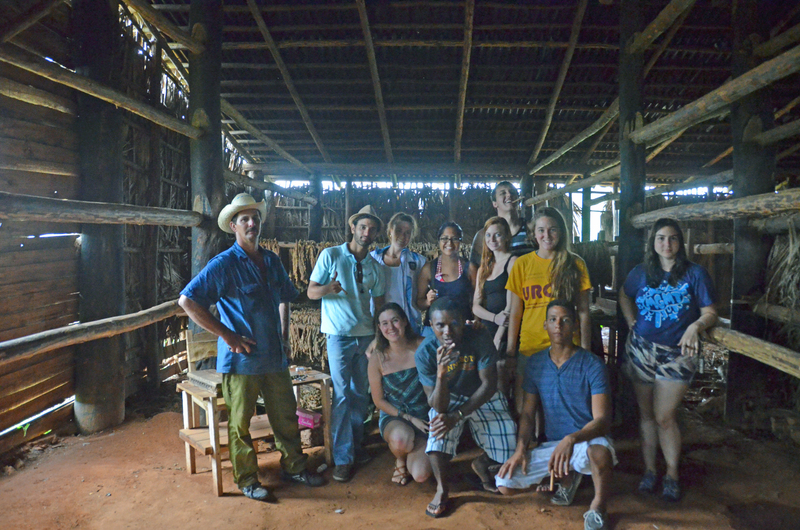 As preparation, students received a library reference tour from Rafael Tarrago, the Latin American Studies librarian at the University of Minnesota’s Wilson Library. The onsite and digital tour enabled students to prepare their research prospectuses with the resources available on campus. In the first semester students received weekly and biweekly lectures, conducted literary reviews, created annotated bibliographies, wrote research prospectuses, and designed their individual research models. During this introductory course students learned about research methods and ethics and they authored their interview consent forms and/or surveys as applicable to their research projects. Natalie Carlson (Political Science/Junior) – Homelessness in Puerto Rico compared to state housing programs in Cuba. Daisy Hidalgo (Political Science/Junior) – The roles of women in political resistance movements and Cuba’s revolutionary war. Nicholas Jensen (History/Senior) – The roles and effects of the U.S. Navy bases in Puerto Rico and Cuba. Lee Anne Mills (Art History/Senior) – Health tourism, the internationalization of Cuban healthcare, and the roles of Cuban doctors abroad. Emily Myers (Anthropology/Senior) – The practice of Santeria religion and how it can heal social and racial injustices by honoring African heritage. 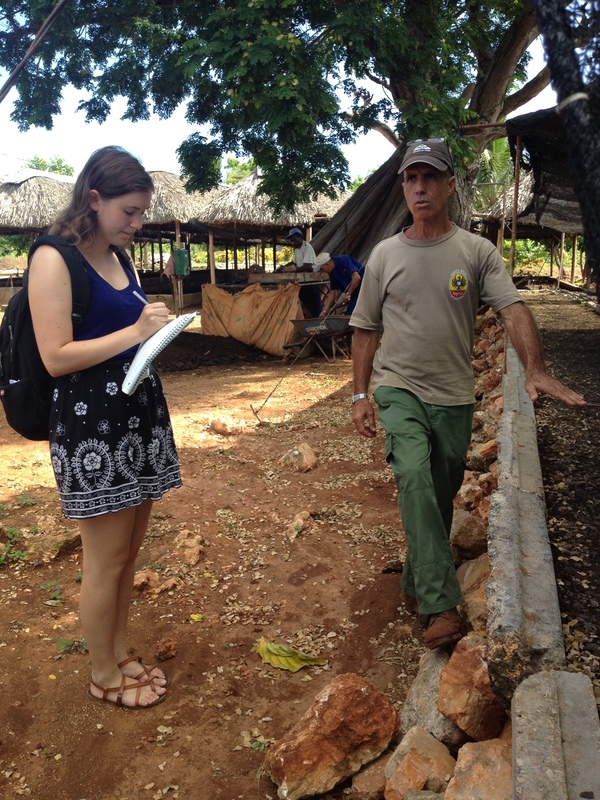 Lena Pransky (Macalester College/Latin American Studies/Junior) – The effects of the Green Revolution and the differing results of use, or lack of, genetically modified seeds in Puerto Rico’s and Cuba’s agriculture. Moses Wallace (History/Senior) – The influences of Cuba’s military intervention in Angola and the anti-apartheid movements in South Africa. Ava Wichmann (Global Studies/Senior) – The shared spaces of mysticism, alternative medicine, and western practices in healing and public health. The group departed for San Juan, Puerto Rico on June 15. Students stayed in Plaza Universitaria, the University of Puerto Rico dorms, which are centrally located in Río Piedras, the city center of San Juan. Plaza Universitaria is located in a mural filled district next to the university campus and surrounded by cultural centers, libraries, restaurants, coffee shops, book stores, the urban metro subway and the bus lines that run throughout San Juan and to other major cities on the island. The dorms are located three blocks from the main square of Río Piedras called the Plaza de la Convalecencia, a historic site of the Iglesia del Pilar, a 300 year old colonial church. At the heart of Río Piedras lies José de Diego Avenue, a one-kilometer pedestrian street with stores and shops. The Río Piedras Plaza del Mercado (marketplace), a few blocks from the dorms, is the largest of its kind on the island and features shops that offer fresh fruits, vegetables, butchers, botanicas (traditional religious crafts), and small food stands. 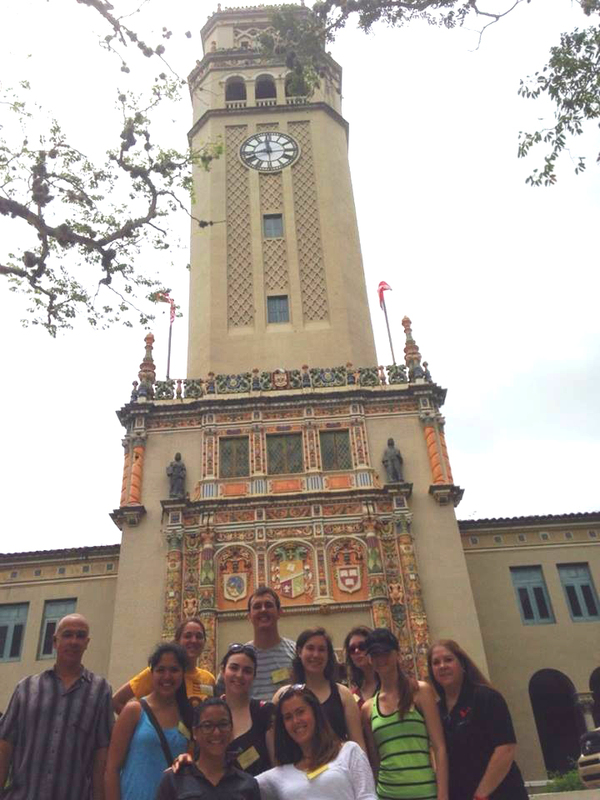 Plaza Universitaria, and the entire UPR campus, is equipped with wifi, on-site security, and trolley transportation. The Institute of Caribbean Studies was founded in 1958 as a colloquium series hosted by the Colleges of Social Sciences and Humanities. 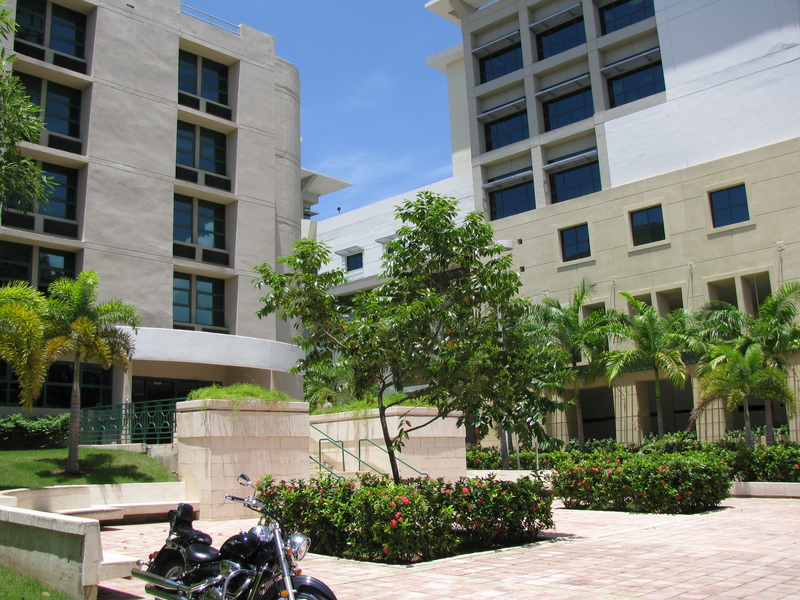 Today, it is a world renowned institute housed within the University of Puerto Rico, Rio Píedras campus. The mission of the Institute of Caribbean Studies is to conduct, support, and contribute to the research and pedagogy of the Caribbean region. It also has a peer-reviewed print publication titled Caribbean Studies. 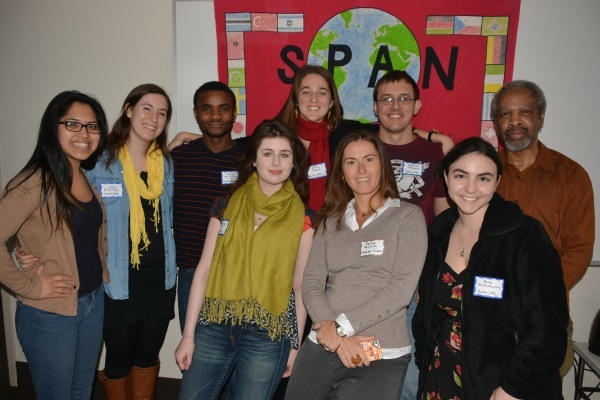 SPAN students were welcomed to the Institute by its director, Dr. Humberto Garcia Muñiz. An academic and agricultural tour of the University of Puerto Rico with Dr. Dale Mathews and Nadya Menendez of the Institute of Caribbean Studies. A tour of the UPR Lázaro Library system with librarian Dra. 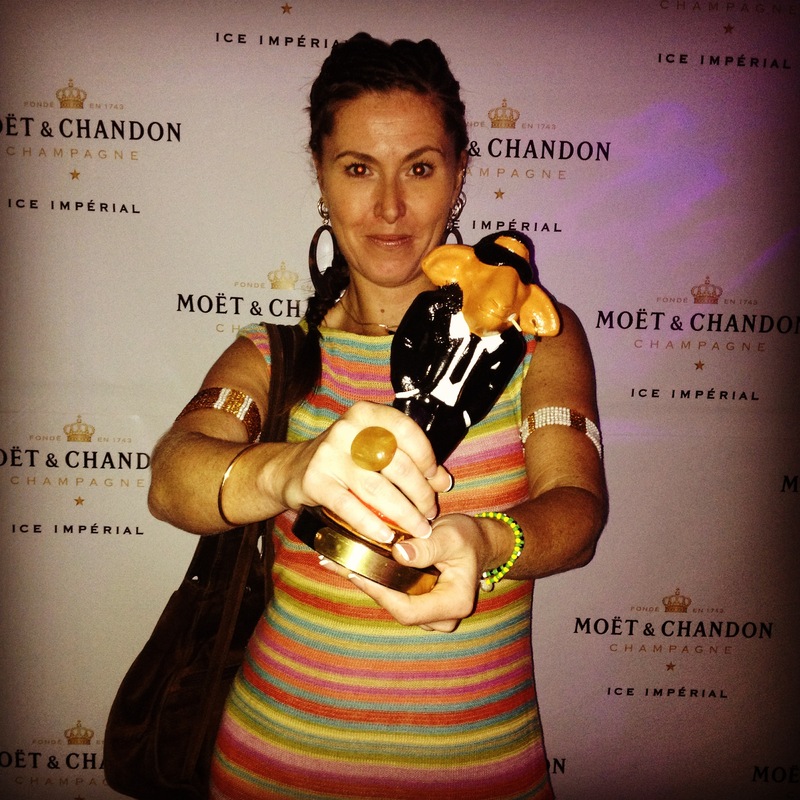 Sylvia Fernandez. A conference with Rafael Acevedo-Cruz and fellow graduate students from the History Department who gave us a tour and month long access to the archives of the University of Puerto Rico’s History Research Center. 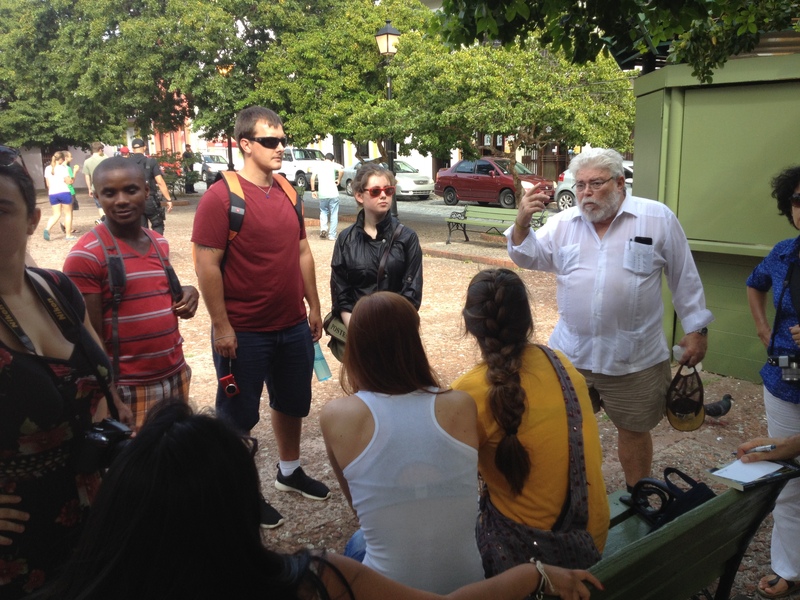 A visit to the Center for Advanced Studies of San Juan and the Caribbean with a walking tour of Old San Juan led by historian Dr. Antonio Gaztambide. A guided tour of the Anthropology Musuem exhibit “Traditions in Transition” (Tradiciones en Transición). A private showing of the recent film release “El Antillano” about Puerto Rican nationalist leader Ramón Emeterio Betances. The film showing was followed by a group discussion with the film director Tito Roman. 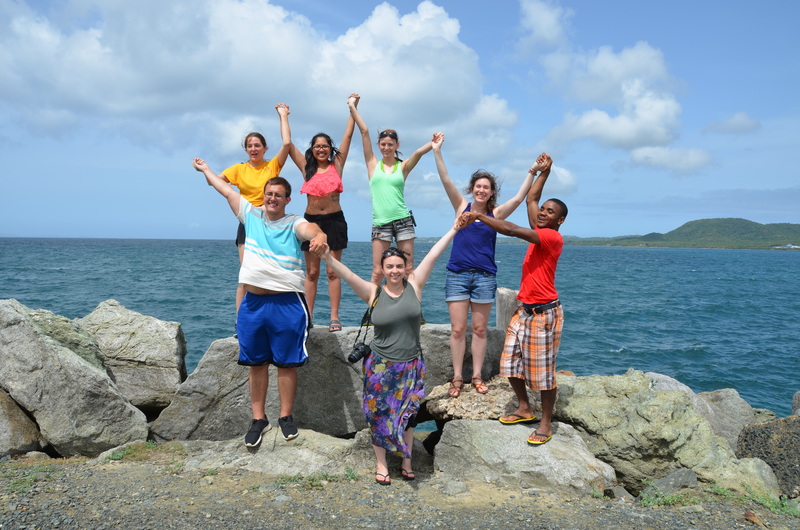 A lecture and three-day excursion to Vieques with Professor Annie Fabian. 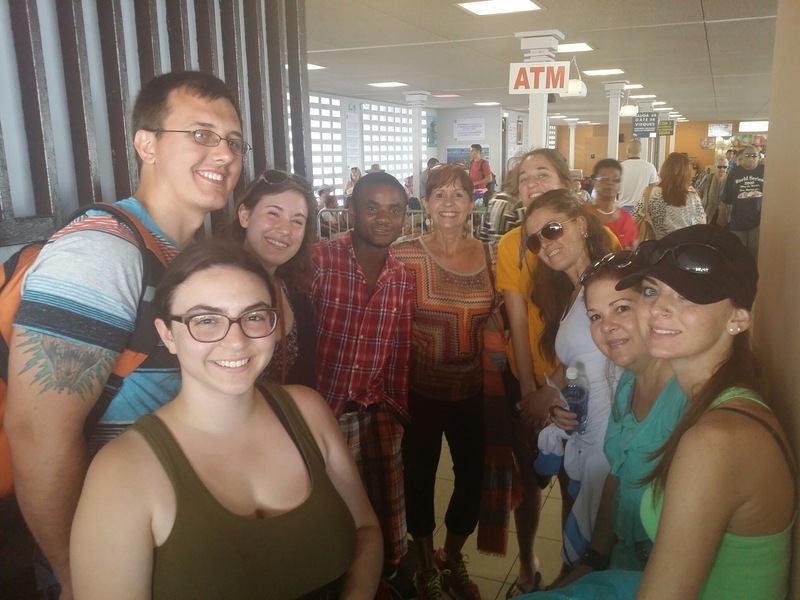 We traveled to Vieques by ferry from the city of Fajardo with Prof. Annie Fabien, Nadya Menendez, and Nancy Arocho of the Institute of Caribbean Studies. In Vieques we stayed at the SeaGate Hotel, a farm hostel with horses, dogs, cats, and roosters. On the first day we took a walking tour of the town of Isabel II and enjoyed a traditional Puerto Rican meal of rice, beans, yucca, and meat stuffed plantains called mofongo. That evening we took a nighttime kayaking tour of the Bioluminescent Bay with local guide Jorge Transporte. 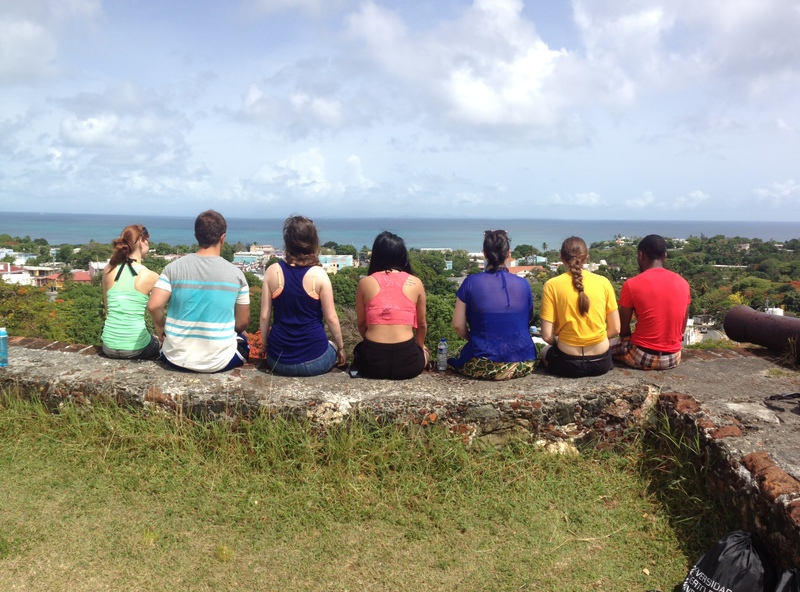 Our second day of the excursion, we joined an ongoing conference with University of Massachusetts-Boston students and faculty at the Vieques Fort (El Fuerte Conde de Mirasol) about current research projects on the island. Then we toured the Memorial Museum of Vieques (Museo de la memoria histórica de Vieques), Radio Vieques headquarters, and received a historical/political lecture about the U.S. Navy presence on the island by lawyer and activist Roberto Rabin. Later that afternoon, we circumnavigated the island visiting a few local sites, the southern township of Esperanza, the famous four-hundred year-old Ceiba tree, ruins of a colonial sugar factory, a native Taino archaeological rock mound where El Hombre de Puerto Ferro burial ground was discovered, and visited the former arsenals and bombing ranges of the U.S. Navy. On our third and last day in Vieques, the SPAN crew enjoyed a relaxing day at Pata Prieta Beach, where we took advantage of the white sand beach and the amazing snorkeling. The group departed Puerto Rico on July 13, spent the night in Miami, and took off to Havana on July 14. 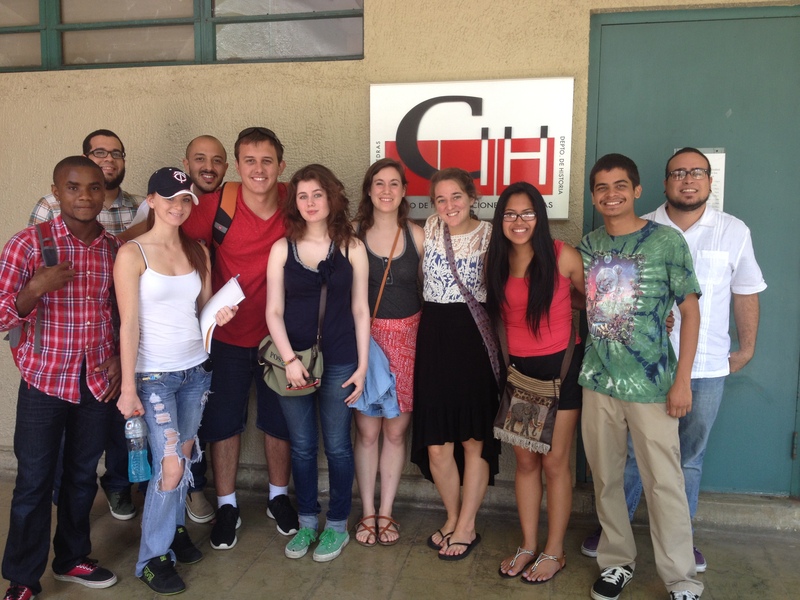 Students stayed in university sponsored housing centrally located in the Vedado Hotel complex that includes a coffee shop, restaurant, pool, on-site security, a business center with internet accessibility, and a daily buffet breakfast. Vedado is the most modern neighborhood of Havana, developed in the first half of the 20th century. The main street outside the housing complex is Calle 23, also known as La Rampa which is full of coffee shops, book stores, restaurants, and music venues. Two blocks from the lodging to the north is the waterfront seawall known as the malecón. This is a popular place for social gatherings that many students enjoyed as a site for people watching in the evenings. Two blocks to the south of the hotel complex is the world renown cinema El Yara, known for showcasing films from the Cuban Institute for Cinematographic Art and Industry and New Latin American Cinema films. The Center for Studies of Martí was founded in 1977 to support research and teaching about the writings of national leader Jose Martí. 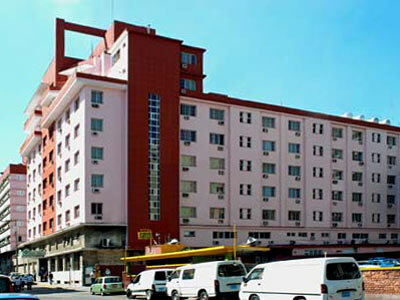 The Center has a large research and instructional complex in the Vedado area of Havana. 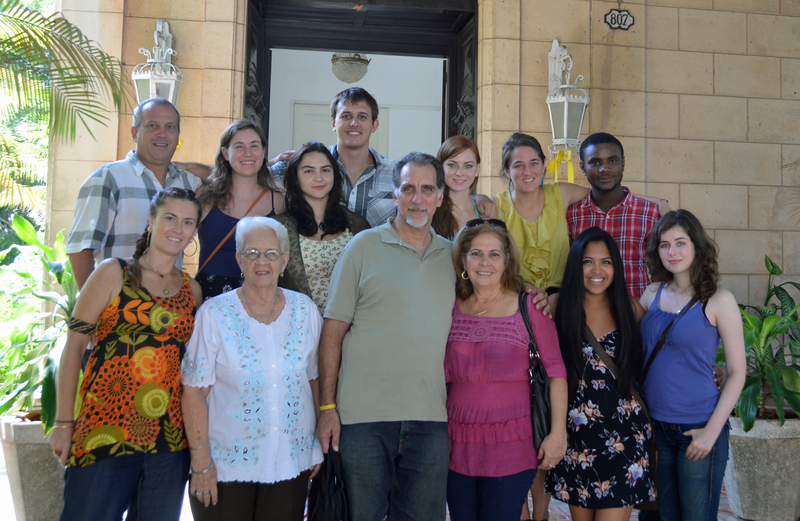 Equipped with classrooms, administrative offices, conference halls and internet, the Center for Studies of Martí is a world renowned educational facility that teaches about Cuban history and culture. The Center offers a library solely dedicated to archiving the original manuscripts, photographs and documents of and about Martí, a bookstore that acts as a center for the International Book Fair of Havana, a research institute, and an international relations department dedicated to academic and cultural exchanges. International relations representatives Vilma Mederos and Jorge Timoneda served as our primary liaisons and institutional hosts. SPAN students were welcomed to the Center by its director, Dra. Ana Sanchez Collazo. 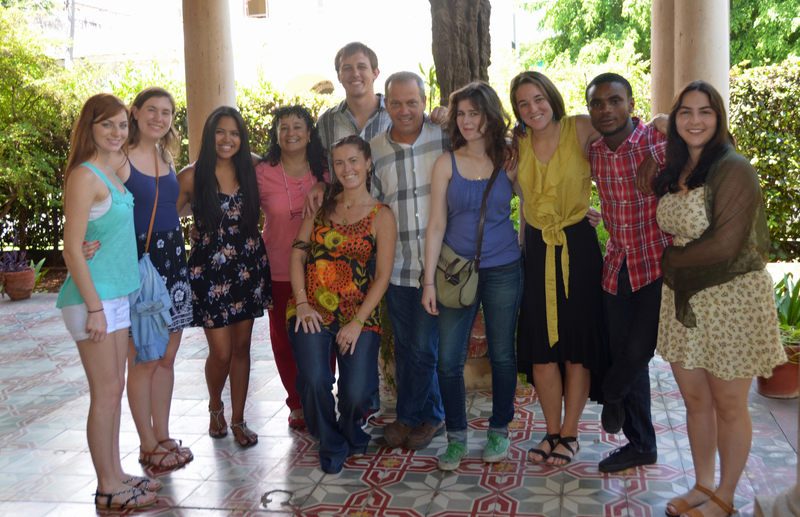 Students received a diploma from the Center for Studies of Martí for taking a four-week four credit course (64 class hours) titled “Cuba and its Culture” (Cuba y Su Cultura). The course consisted of conferences in the morning (9am-noon), a two-hour lunch break (noon – 2PM), and guided tours in the afternoons relevant to the morning’s lectures (2-6pm). Some of the locations visited included a walking tour of Old Havana (a UNESCO World Heritage site) and Revolution Square, as well as guided tours of the José Martí Memorial, the Museum of the Revolution, the Museum of Fine Arts, the Guanabacoa Museum of Afro-Cuban Religion, the Organic Agricultural Nursery (an urban farm of Alamar), and the Art Factory (a gallery and cultural center). 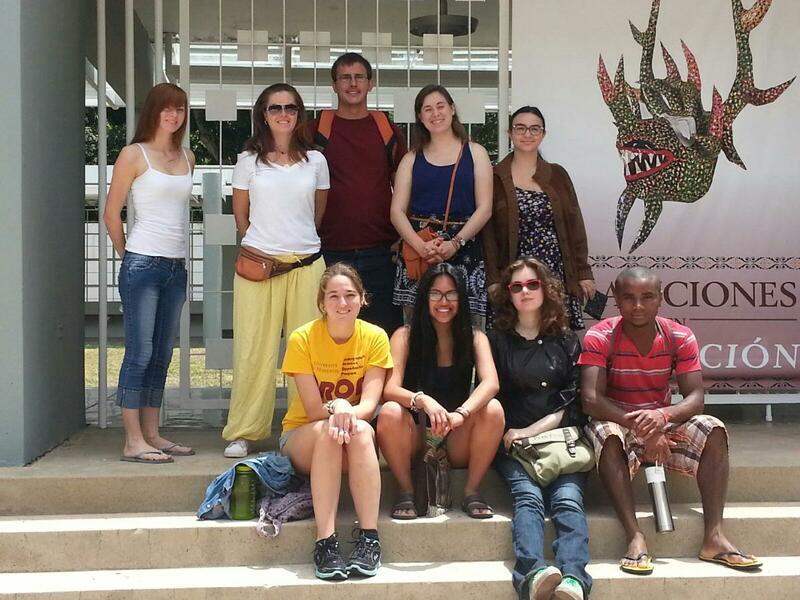 Students were also given a guided tour of the National José Martí Library with a one-year access pass to use the library references. Lic. Adelaida Ramos on the geography of Cuba. Dr. Pedro Pablo Rodriguez on the works of José Martí. Dra. Maria Caridad Pacheco on the history of Cuba. Dr. Carlos Alzugaray and Lic. Alejandro Perdomo on the relations between the U.S. and Cuba. Dra. Sonia Moro on the role of women in the Cuban revolution. 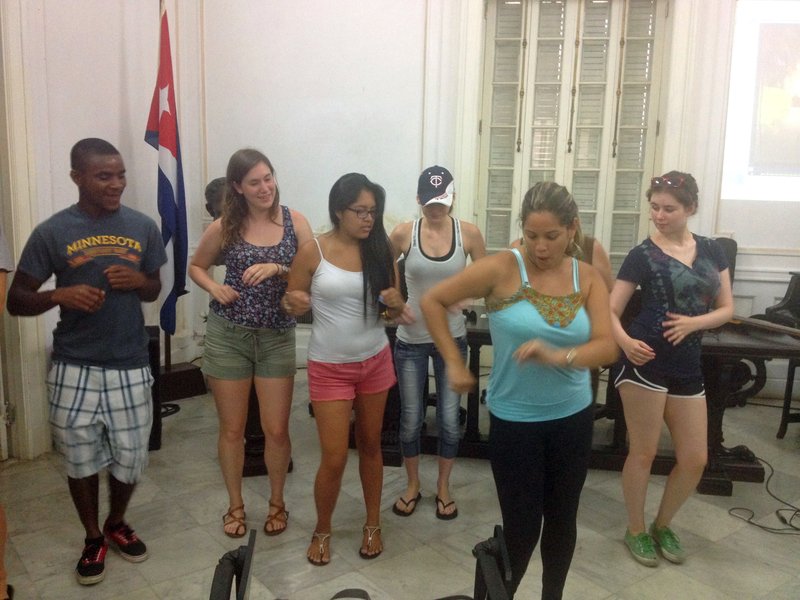 Lic Rubén Moro on rhythms of Cuban music including a musical demonstration and a dance class with Rubén’s musical troupe. Dra. Yoandra Adelá on public health in Cuba after 1959. Dra. Ofelia Pérez on religions in Cuba. Dra. Iliana Reyes Alvarez of ServiMed center for health tourism. Dra. Maritza Mainegra a medical doctor of alternative medicine at the military hospital of Alamar. Eng. Gonzalo Gonzalez Llenere, chief of production at the Organic Agricultural Nursery (Organoponico Vivero) of Alamar. Babalawo Luis and Babalawo Ricardo (religious priests of Santeria or Ocha-Ifa). 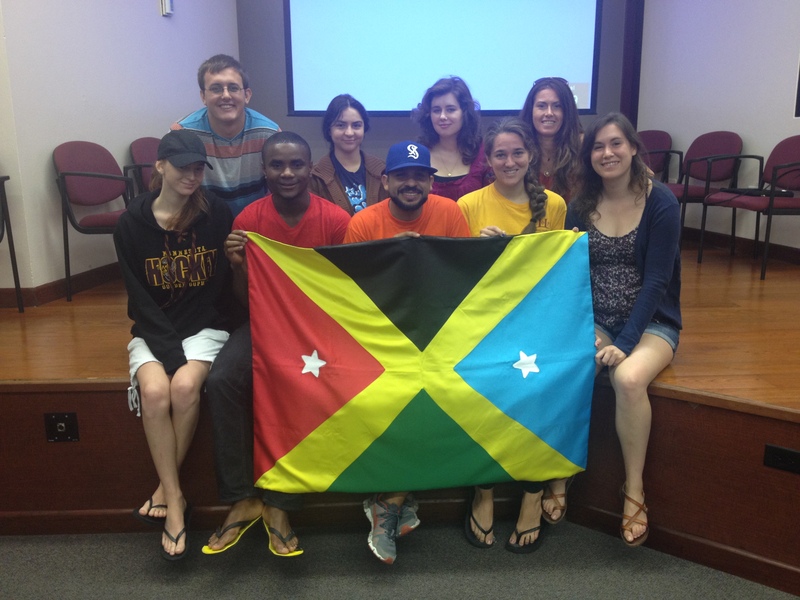 Dr. Esteban Morales on issues of race, racial identity and racism in Cuba. Presentatation on the case of the Cuban Five with former political prisoner Rene González, his wife Olga González and Mirta Rodriguez Pérez, mother of prisoner Antonio Guerrero. 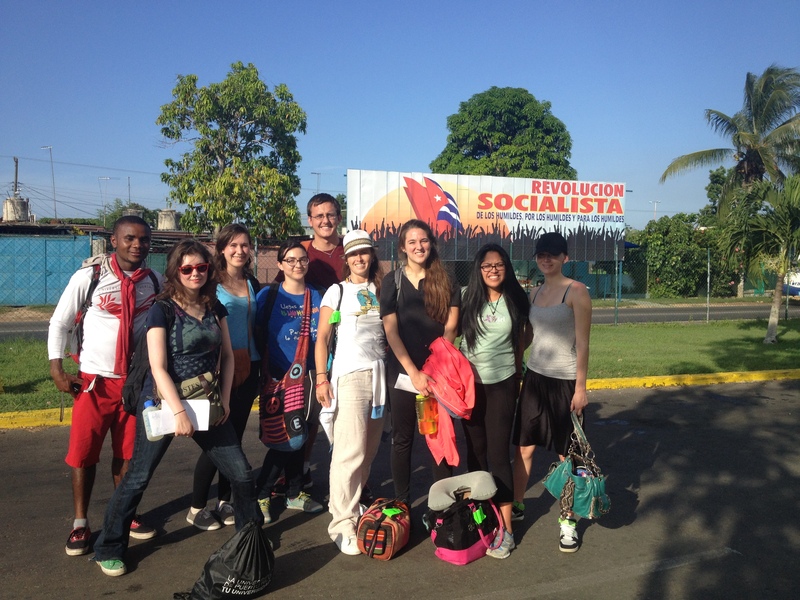 Students took a one-day excursion to Santa Maria Beach, located east of Havana, and another one-day excursion to the province of Pinar del Rio. 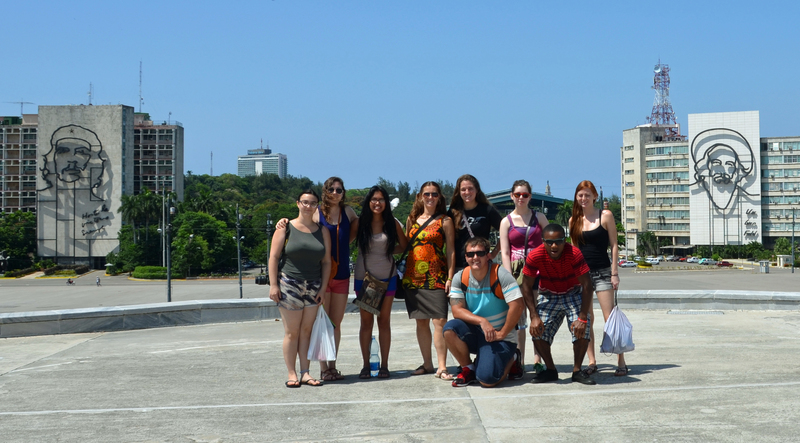 At Santa Maria Beach students learned about Cuba’s beachside tourism industry at one of Havana’s most popular urban beaches. In Pinar del Rio we visited Cayo Jutia, a small coastal isle off of the main island of Cuba. There we enjoyed a relaxing beachside lunch consisting of traditional Cuban food of beans, rice, plantains and ropa vieja, a typical dish made of shredded beef. We then continued to the town of Viñales where we stopped at El Mural de la Prehistoria, a prehistoric mural, and toured a tobacco plantation. In Cuba we were transported by one of the Pastors for Peace buses with our own chauffer named Joto, the administrator of the Pastor’s for Peace transportation in Havana. Pastors for Peace is a U.S. based interreligious organization that was created in 1988 to deliver humanitarian aid to Latin America and the Caribbean. 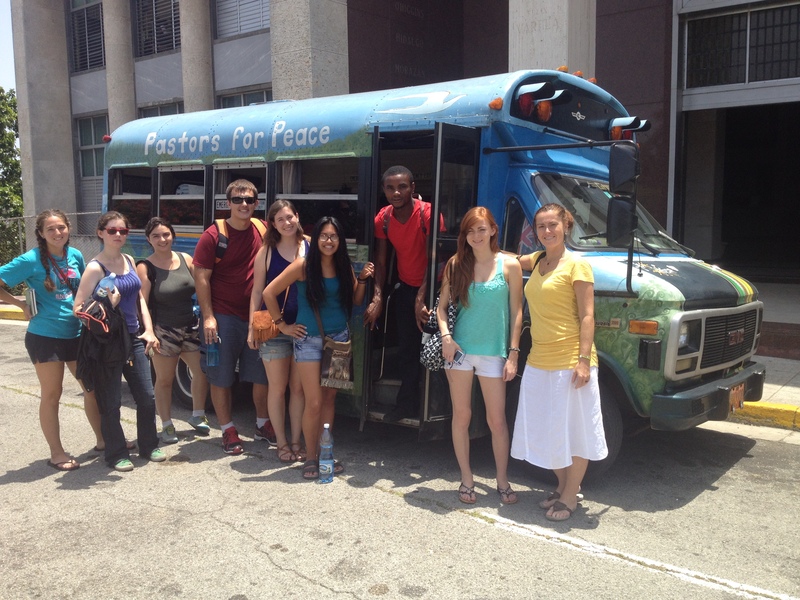 Since 1994 Pastors for Peace has recruited humanitarian aid for Cuba throughout the United States in school buses that have been painted by various artists. The buses cross the Mexican border and are shipped to Cuba full of supplies. Sixty of their buses are currently in Cuba. 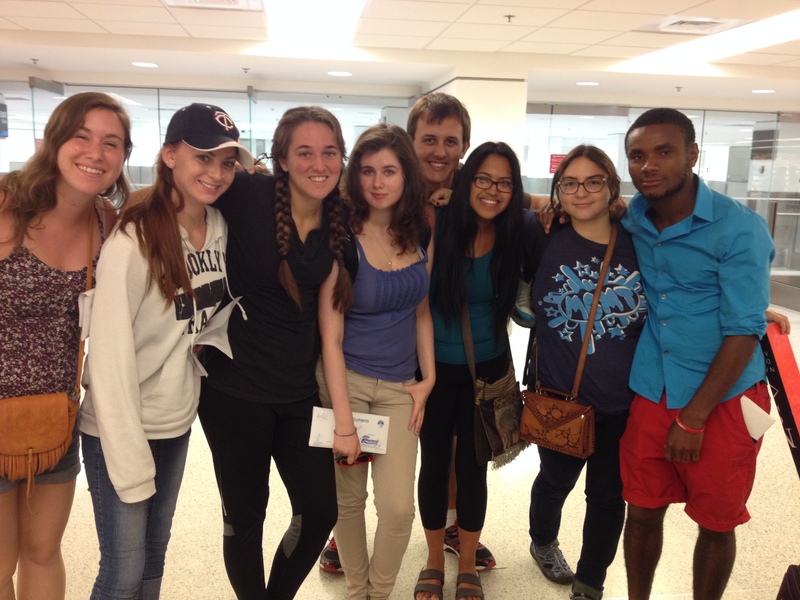 The group departed Havana for Miami on August 11, arriving back to Minneapolis on August 12. SPAN crew after clearing U.S. Customs and Immigration at the Miami International Airport. 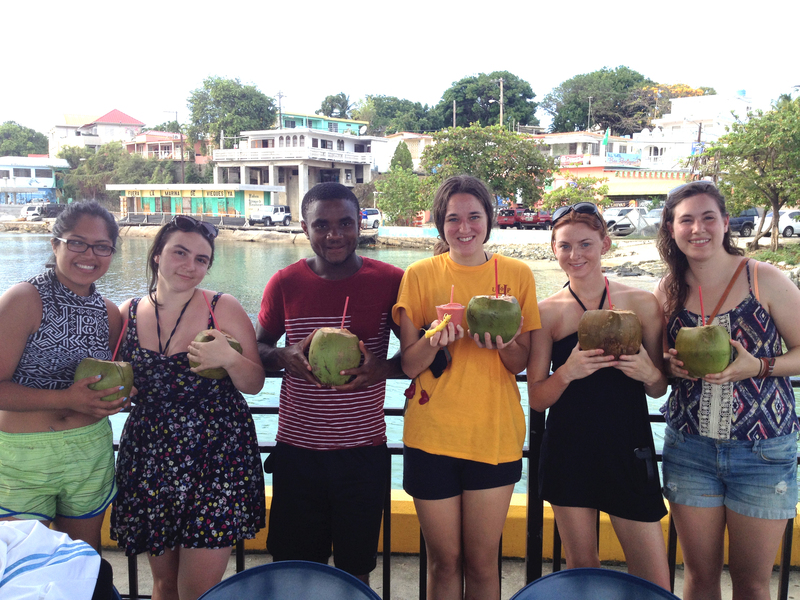 SPAN students returned from their trip with a new perspective on U.S.-Caribbean relations. Puerto Rico has been a U.S. commonwealth since 1952, whereas Cuba and the United States have not had diplomatic relations since 1959. Their comparative experiences in Puerto Rico and Cuba has given them a unique understanding of two very unique Caribbean islands, one incorporated into, and the other isolated from, the United States. Visiting and immersing themselves into these differing cultures, customs, and histories allowed them to see their similarities as much as their peculiarities. Students made new life-long friends, established professional contacts that will serve their studies and careers, and conducted distinctive research that will now be the foundation of their fifty-page SPAN theses. The immersion experience was undoubtedly life changing and will directly influence not only their educational endeavors, but also their political participation and public diplomacy within the United States as global citizens. 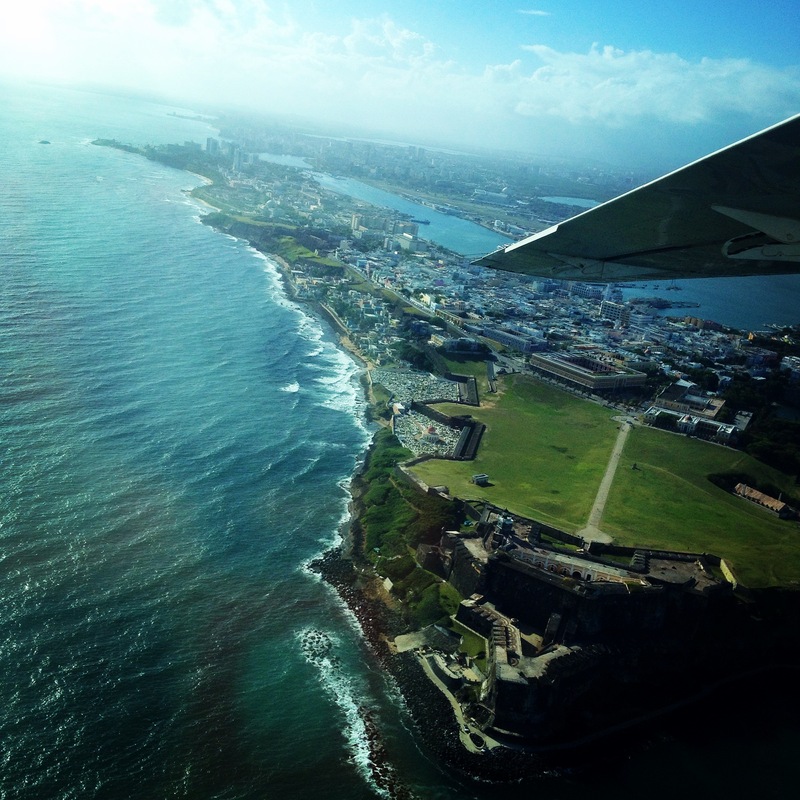 For more information about the Puerto Rico and Cuba SPAN 2014 educational exchange program please contact Dr. August Nimtz, Dr. Melisa Rivière, or the Student Project for Amity among Nations. Oriundo de la ciudad de Ushuaia en la provincia al sur de Argentina de Tierra Del Fuego, Frane DelSurEstilo es un rapero, compositor musical y productor de sonido. 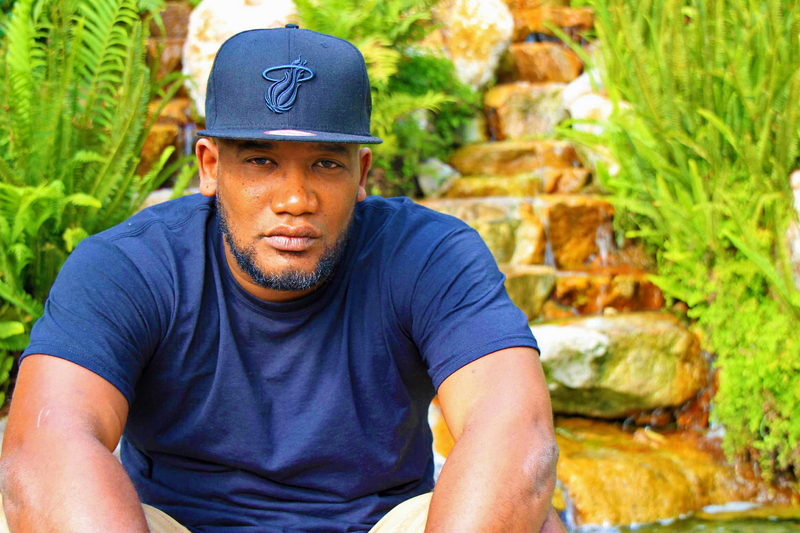 Iniciado dentro del hip-hop en la escena del freestyle, o la improvisación, hoy se destaca como solista e integrante de la agrupación más notoria del rap porteño, La Conección Real. A fines del 2010 Frane presento su disco debut titulado En Mis Escrituras. El disco, realizado en El Triangulo Estudio de Buenos Aires, nos presenta sus primeras rimas y cuenta con composiciones musicales propias. Esta primera maqueta, y su trabajo dentro de La Conección Real, lo llevaron a realizar espectáculos dentro de la capital y en diferentes provincias del país, incluyendo Santa Fe, Córdoba, y Entre Ríos. Su segunda y más reciente entrega, Tierra del Fuego es un homenaje a su tierra natal en la cual nos ilustra su desarrollo artístico como compositor, vocalista, e ingeniero de sonido, realizando el álbum desde su propio estudio de grabación, Del Sur Estilo Estudio. El disco Tierra del Fuego, gestionado a través del paso de dos años, fue cocinado literalmente a fuego-lento y exhibe como tal la evolución artística de Frane. 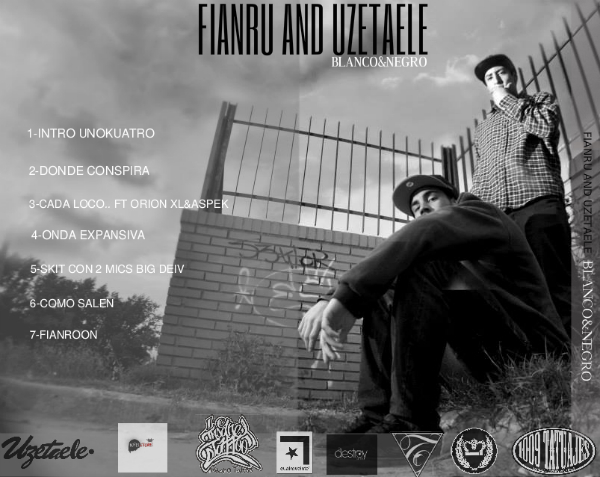 Cuenta con 17 canciones de las cuales casi la mitad las comparte con reconocidos integrantes del género de rap argentino. El recorrido sónico del disco lleva al oyente lejos del conurbano bonaerense en un viaje de vientos sureños que lo trasladan hacia la naturaleza de los bosques, lagos, y montañas de la provincia mística en el sur de la Argentina. Fianru: “Es que yo solo quiero seguir siendo. Aunque Frane nos presenta su narrativa personal, los temas y su prosa rapera son ampliamente abstractos para identificarse con toda una generación. La exuberancia juvenil de su rap destaca el archivo histórico que captan sus canciones. Como tal, Frane utiliza el novedoso genero del rap para narrar y educar sobre las antiguas costumbres de cuatro pueblos aborígenes del sur; los Selk’nam, los Haush, los Alacalufes y los Yámanas. Sus referencias son enganches que ponen en primer plano a los pueblos originarios y su participación en la memoria ancestral del joven rapero. 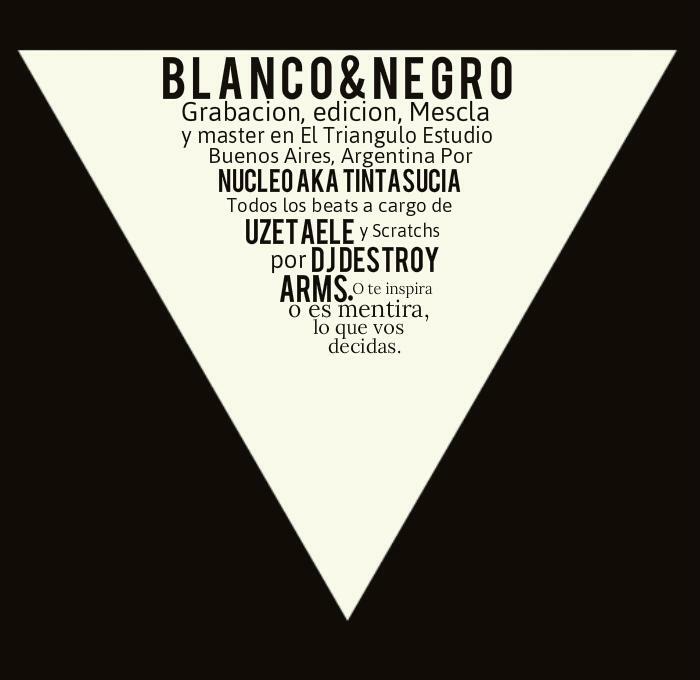 La portada del disco nos ofrece una metáfora sobre el significado de esta producción para su creador. Ilustrado por Frane, la tapa presenta un imagen de los Selk’nam durante el ritual del hain que se llevaba a cabo con el motivo de instruir a los varones que se encontraban al final de la adolescencia sobre “las verdades de la vida.” Como fenómeno integral a la ceremonia se colocaban mascaras hechas de cuero de guanaco para demostrar su transición de hombres a adultos. Esta hélice enmarca el tono sutil de su entrega sonora la cual demuestra el desarrollo artístico de Frane, y la madures rítmica tanto como espiritual de su música.